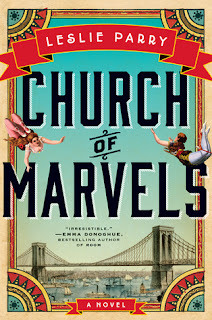 I'm not quite sure why this one caught my fancy...I think, if I'm remembering correctly, that it was compared to The Night Circus, and as we all know, that's about all you have to say to me to get me excited about reading a book. Alas, I would not compare this book to the magical adventure that was the circus that arrived without warning, but it was a spectacular read (or listen is this particular case) nonetheless. I destroyed this audiobook. Nine discs in two days. NINE DISCS IN TWO DAYS! This is unheard of for me, especially when there's not a road trip involved. But I suppose a good story allows for a little obsession. 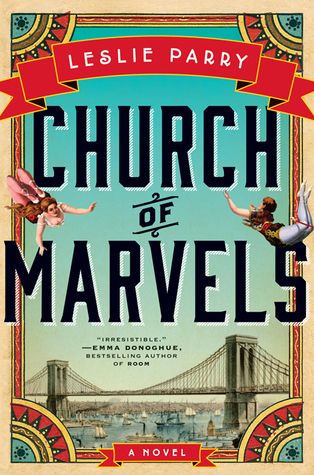 Odile and Belle have grown up in a Coney Island sideshow, and after a terrible fire rocks their world, the sisters find themselves at a crossroads. Odile longs for the familiar while Belle is desperate to escape toward something new. And that's exactly what she does...except she doesn't go far. She just makes it to Manhattan, but the author makes this feel forever away. Then there's Sylvan, who really opens the story. While working the night shift cleaning privies, Sylvan discovers a baby. Being a legit stand-up gentleman, he knows he must protect the baby and sets out on an adventure to discover where the young girl belongs. And finally, you're introduced to Alphie. Poor Alphie who only wants to have a happy marriage and a young baby to complete her family. But Alphie's mother-in-law is out to get her from the beginning other relationship and without any warning, the evil woman sends Alphie to the one place she never expected to be. None of these stories seemed to go together, and then they did. Parry does an amazing job weaving the stories here and there, switching between voices, to make a beautiful story about family, home, and the desire for love. While I think the marketing of this book is a bit off (especially focusing on the sideshow itself which is more of just a footnote), Parry got the storytelling part just right. I'll definitely be waiting to see what else she has to offer.